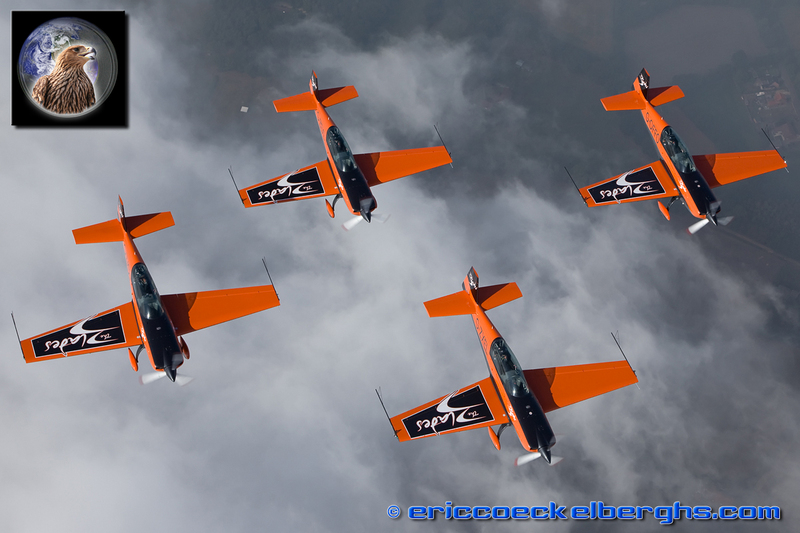 What could we possibly write to introduce the Sanicole Airshow to you...? 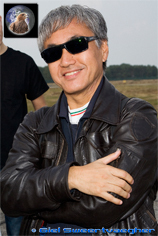 Well, nothing! 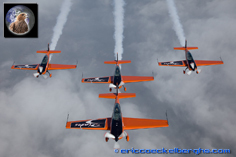 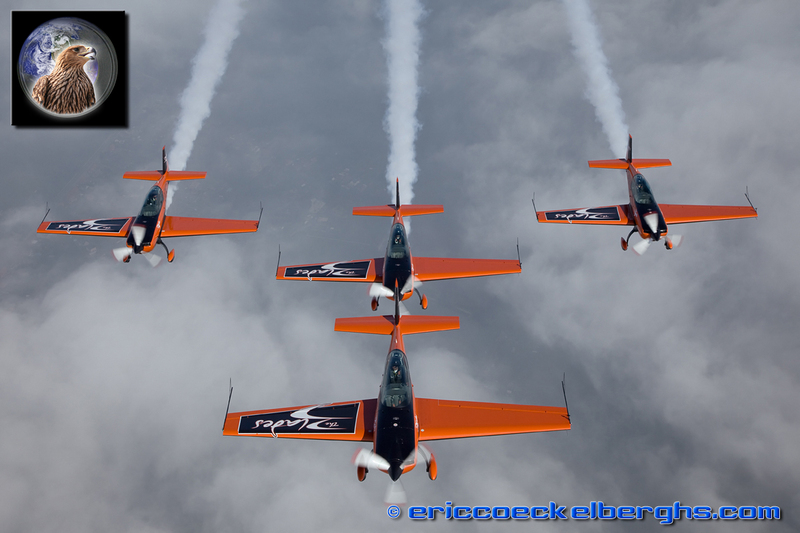 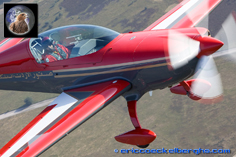 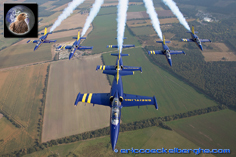 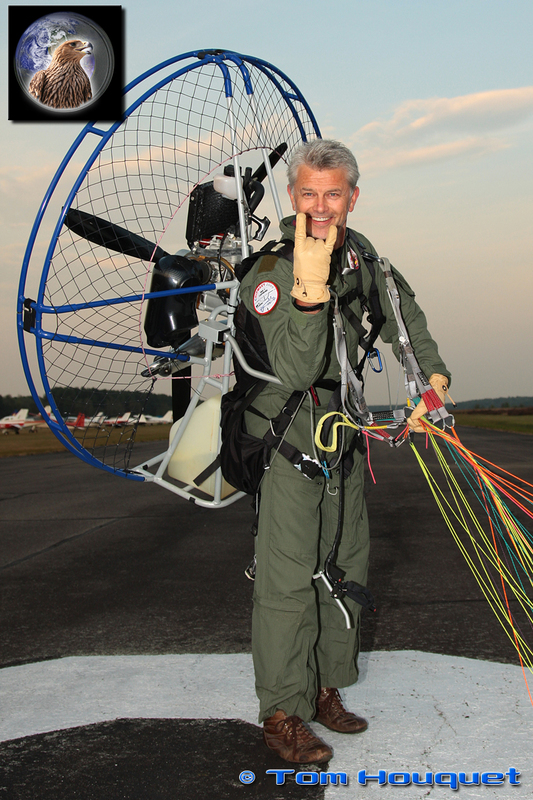 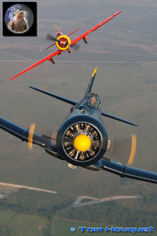 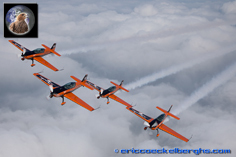 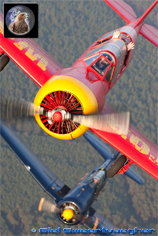 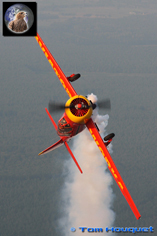 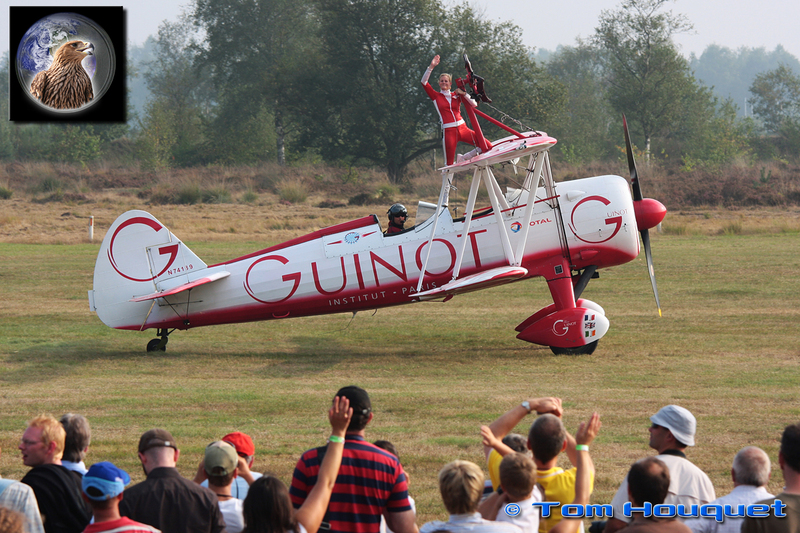 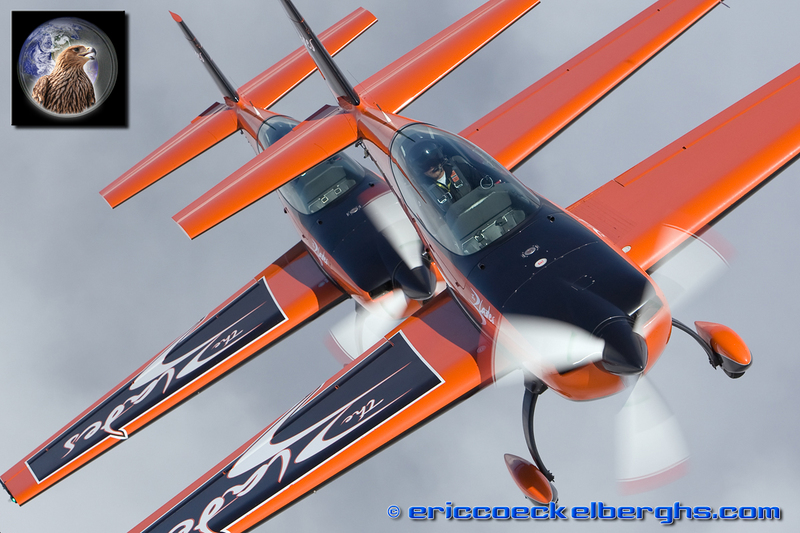 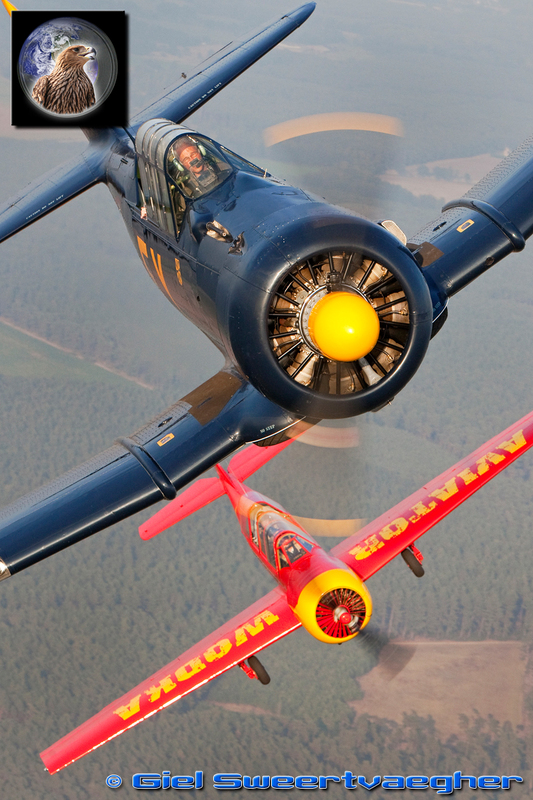 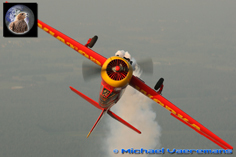 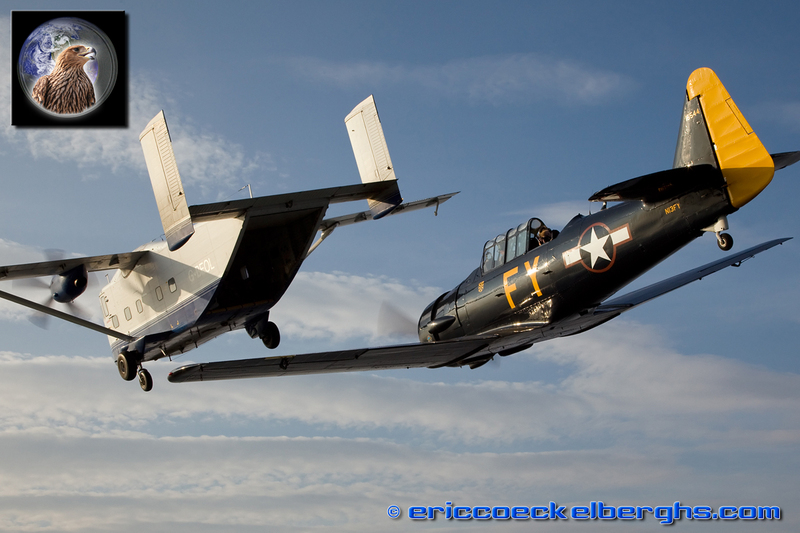 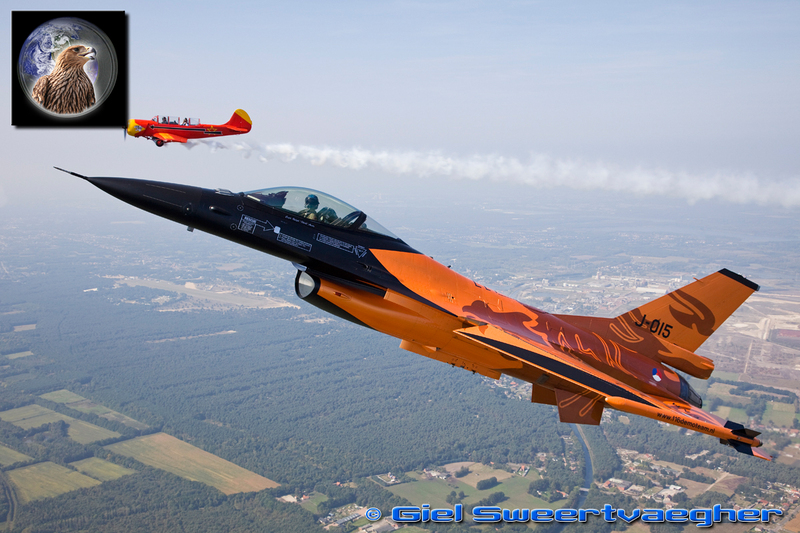 Sanicole is one of the few airshows in this world that doesn't need an introduction anymore. 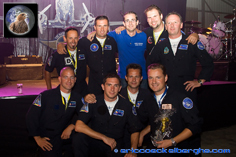 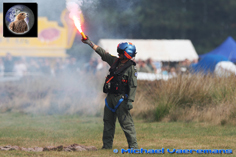 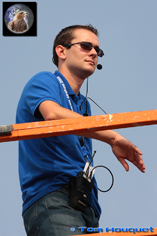 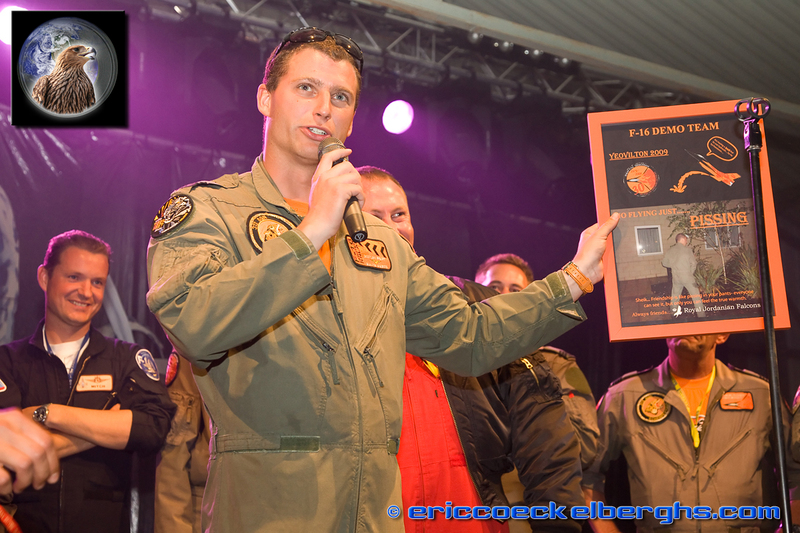 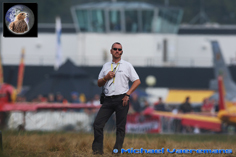 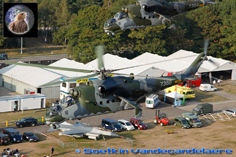 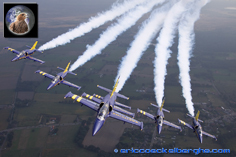 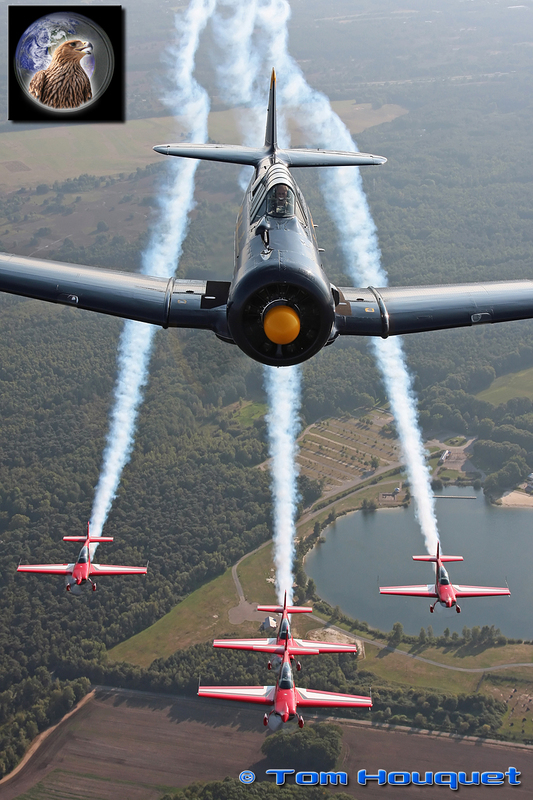 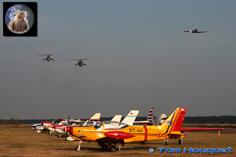 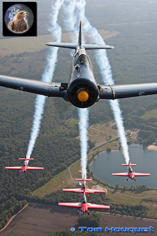 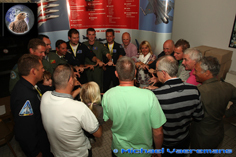 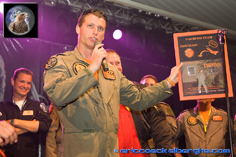 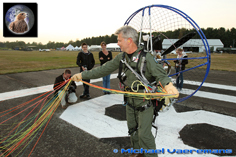 All the famous and wellknown airshowacts and displayteams have at least once performed here and the event is loved and respected the world over. 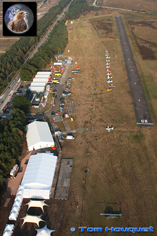 The airshow was this year in September for the first time; the new date turned out to be a fantastic move, as we had more visitors than ever before! 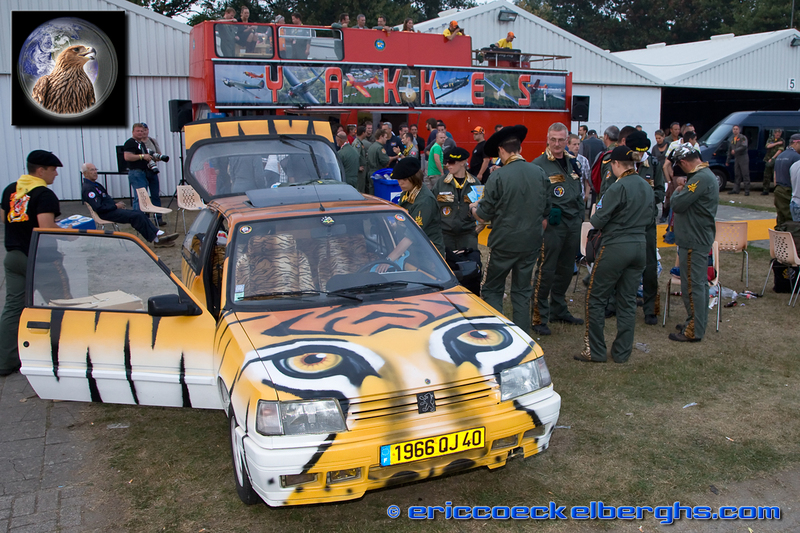 Another great advantage was the possibility to turn the show into the 'Tiger' airshow, and present the audience all the excitement of the nearby NATO Tigermeet, hosted during the same period at KB Airbase. 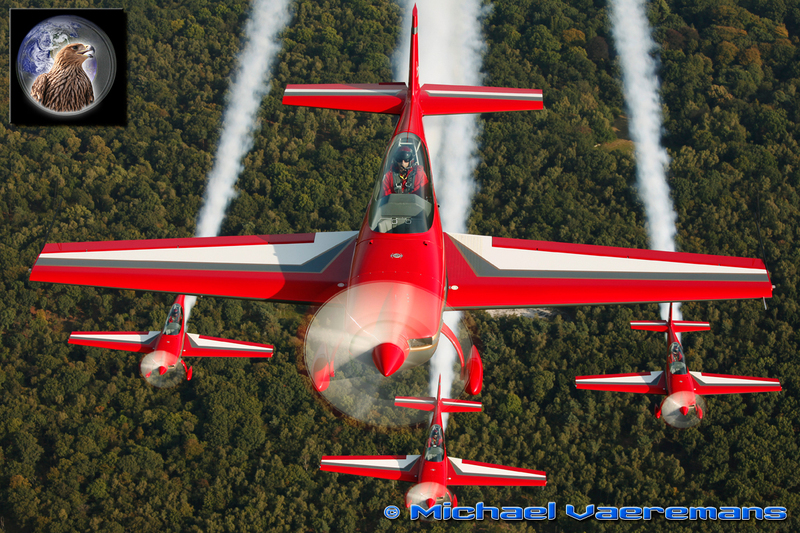 So our PhotoCrew had a lot of chance to fly with the tigerbirds. But of course we had a lot of fun with our homeboys as well! 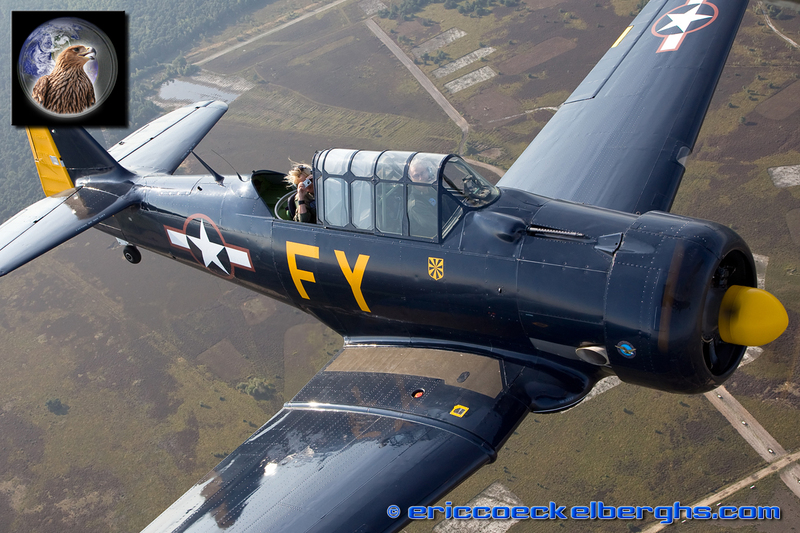 Jerome was our photopilot in the Red Yak-52 of Yakkes foundation, and Hanno Wesdorp flew his T-6 on a number of photomissions. 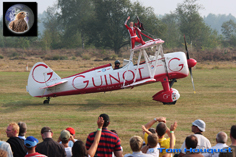 And what the biggest fun....being photographed yourself I guess! 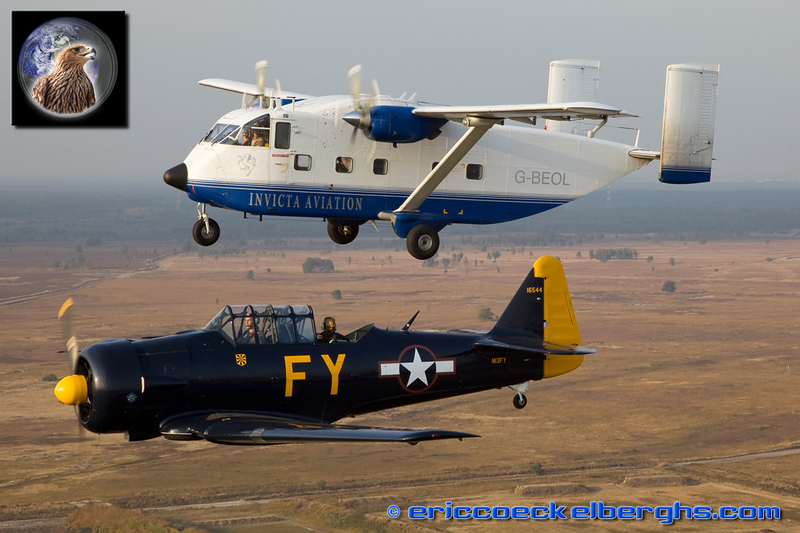 So we organised a photosession to get pictures of our photoships. 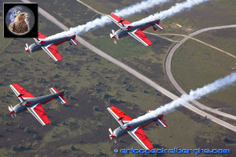 The Royal Jordanian Falcons are longtime visitors to Sanicole airshow, and they did a big effort this year to stay one week longer in Europe and so ending their European tour on our airfield. 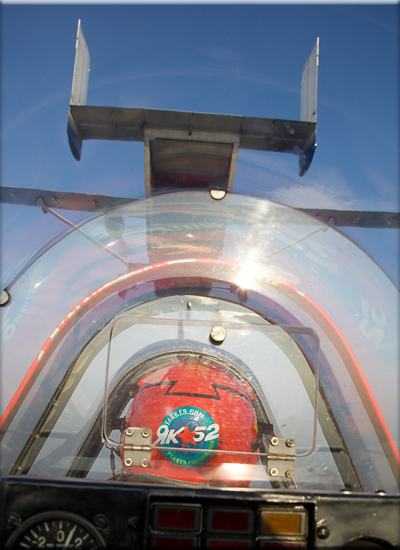 It gave us a chance, under perfect evening light, to capture the team as never before behind the Skyvan. 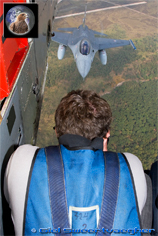 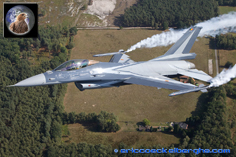 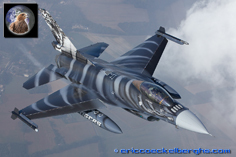 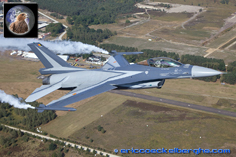 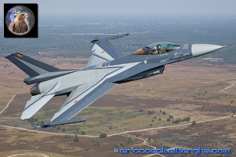 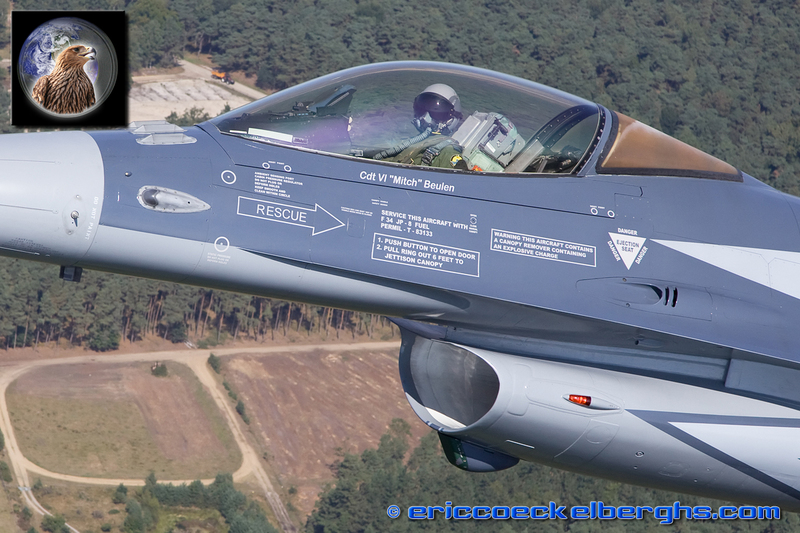 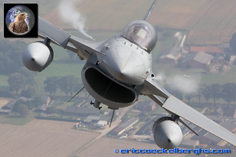 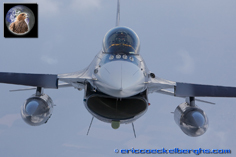 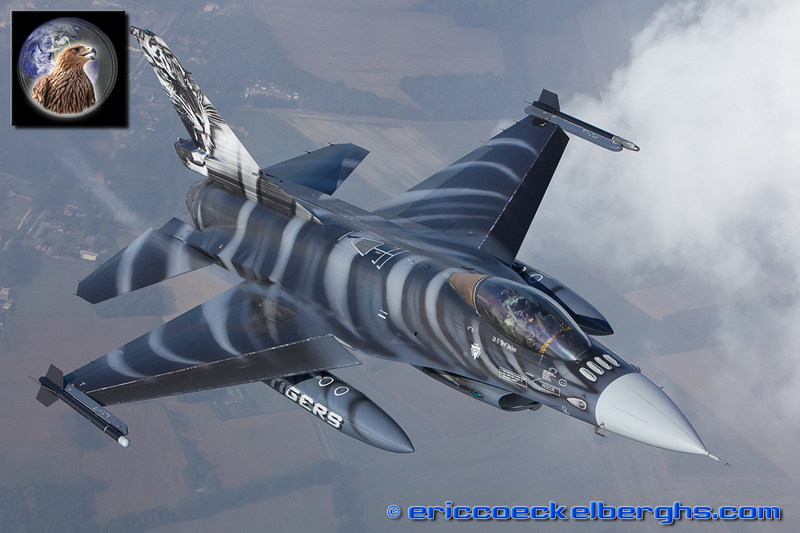 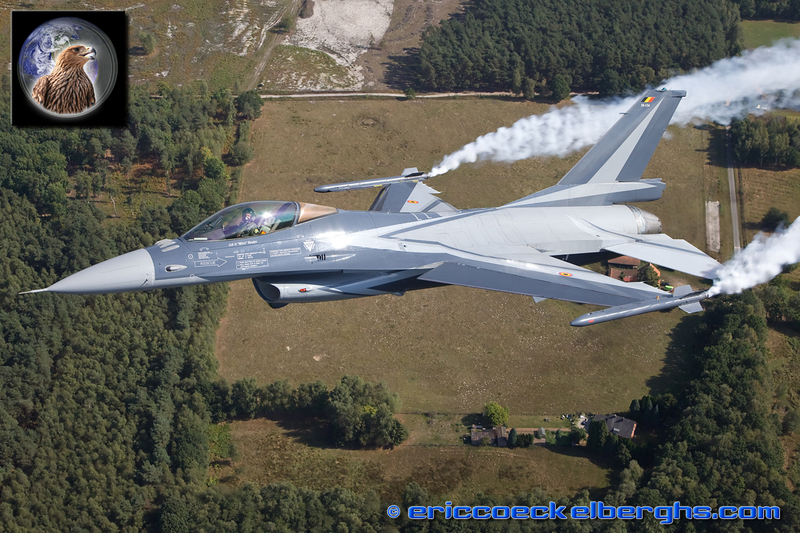 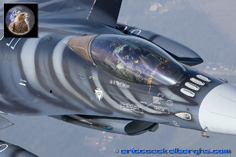 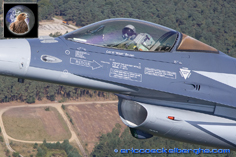 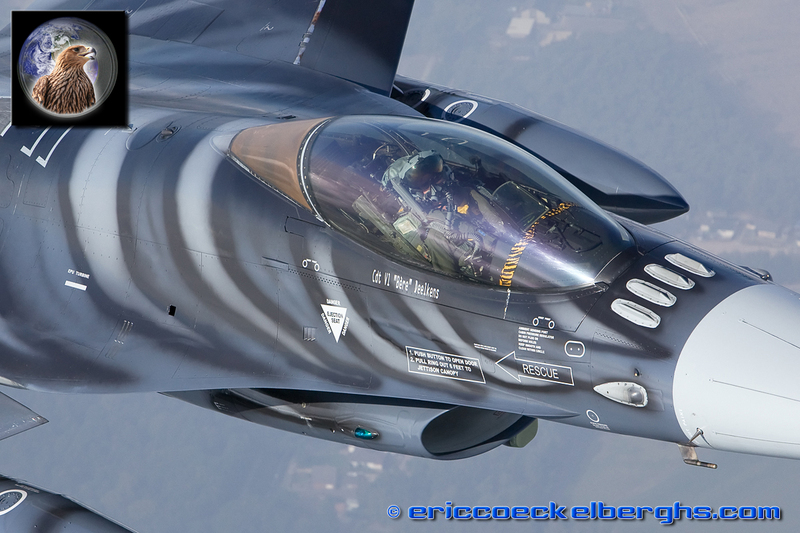 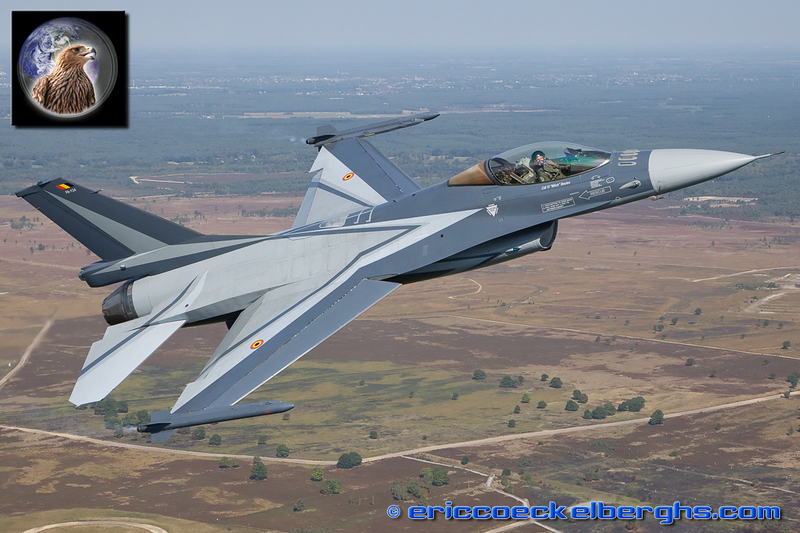 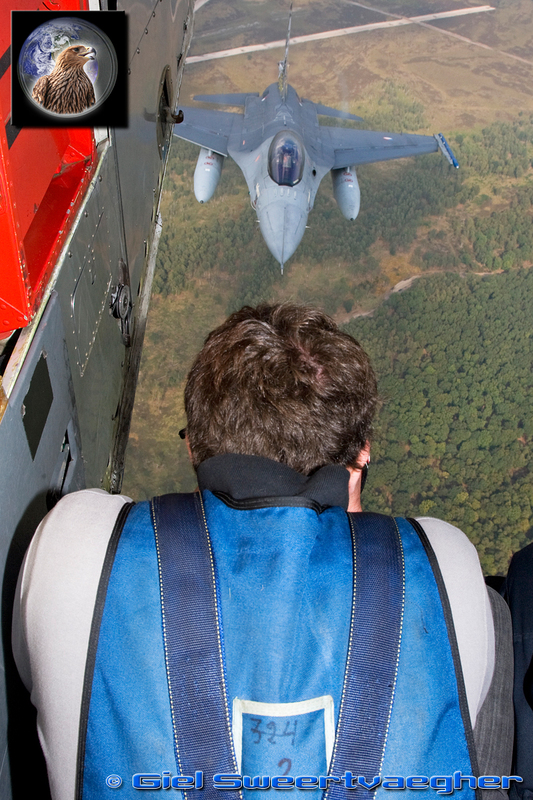 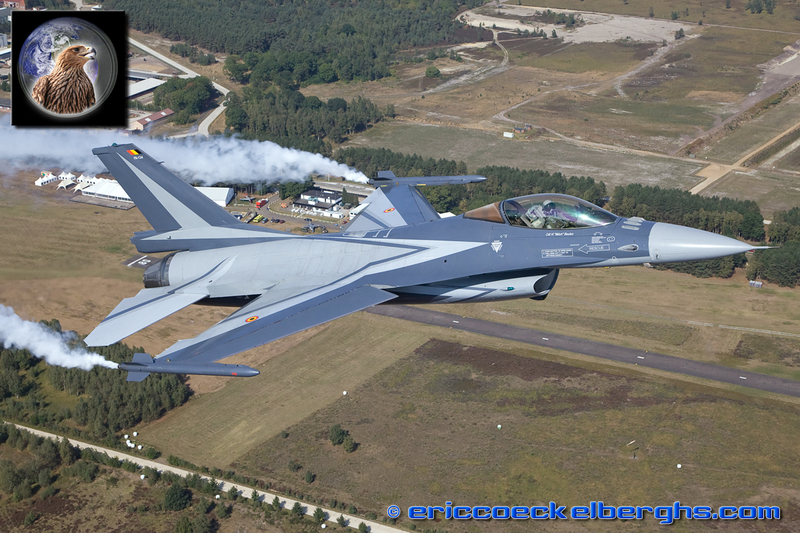 Fast action now, provided to you by 'Mitch' in his Belgian demo F-16, always a true pleasure to fly with the Belgian Air Force. 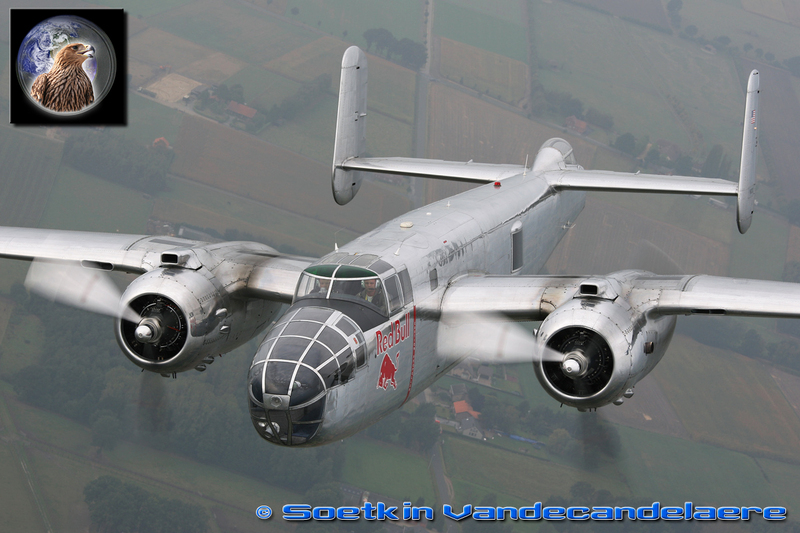 Last year the weather was kinda horrible but this time it was bingo with superb light. 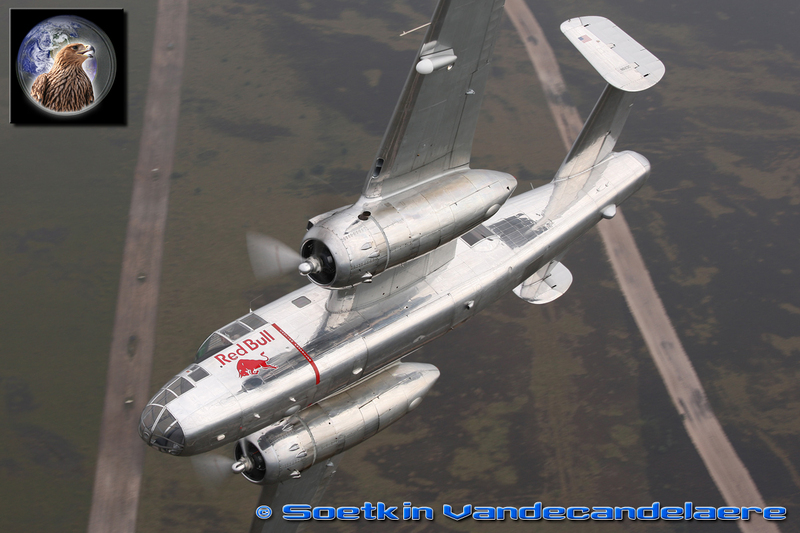 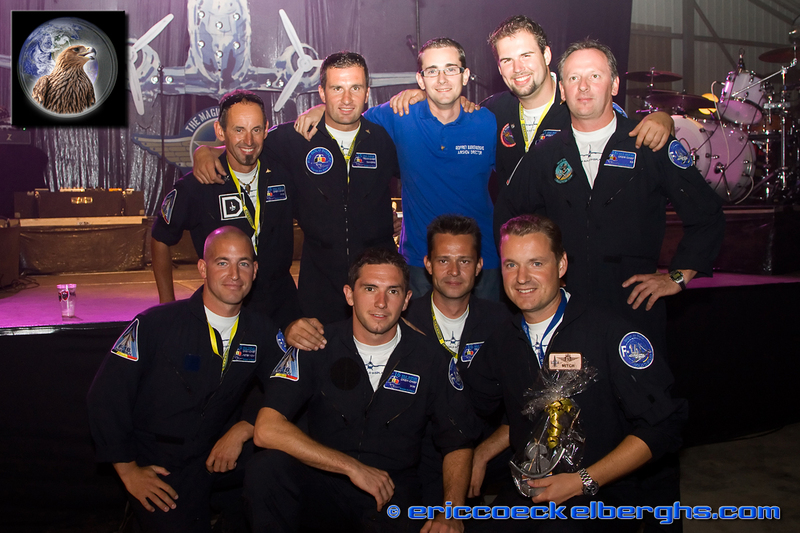 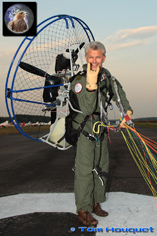 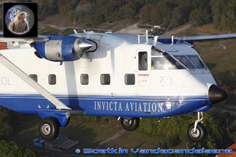 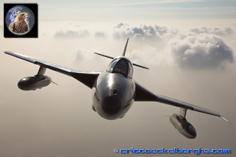 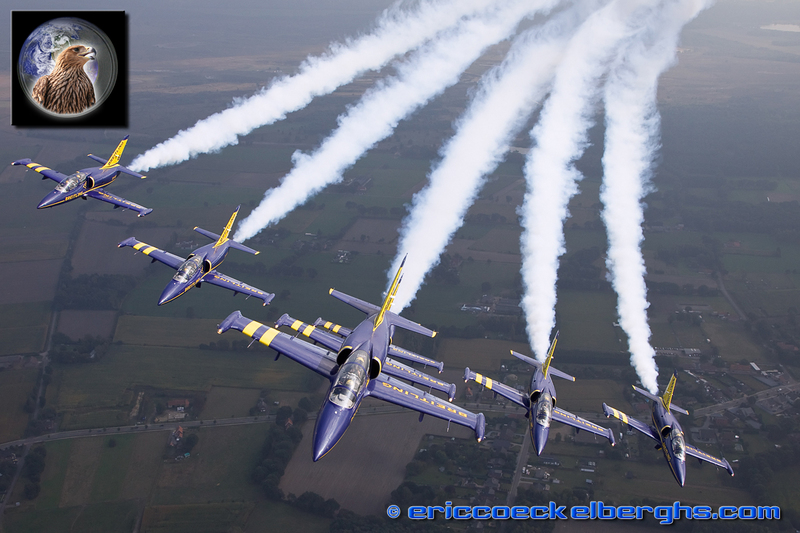 From this photoseries we also selected a picture to grace the cover of the 2009 Sanicole Airshowbook ( which is sold out ). 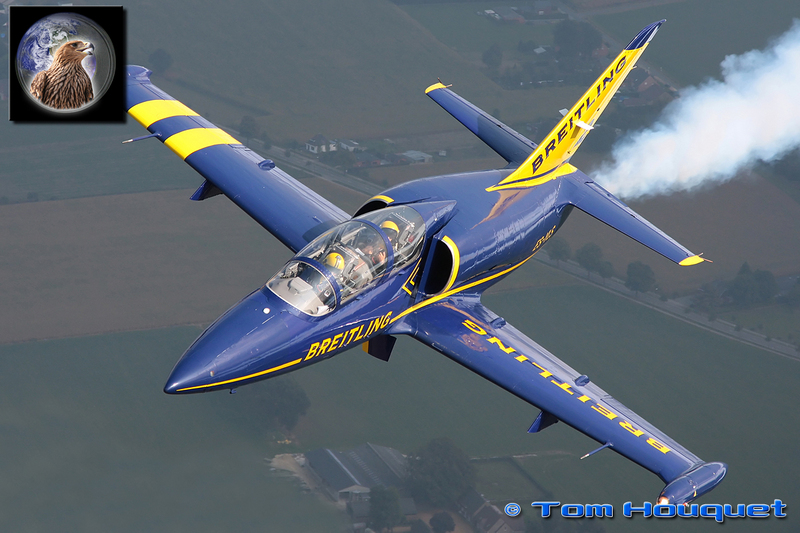 And we really had a lot of great fast jet action this year. 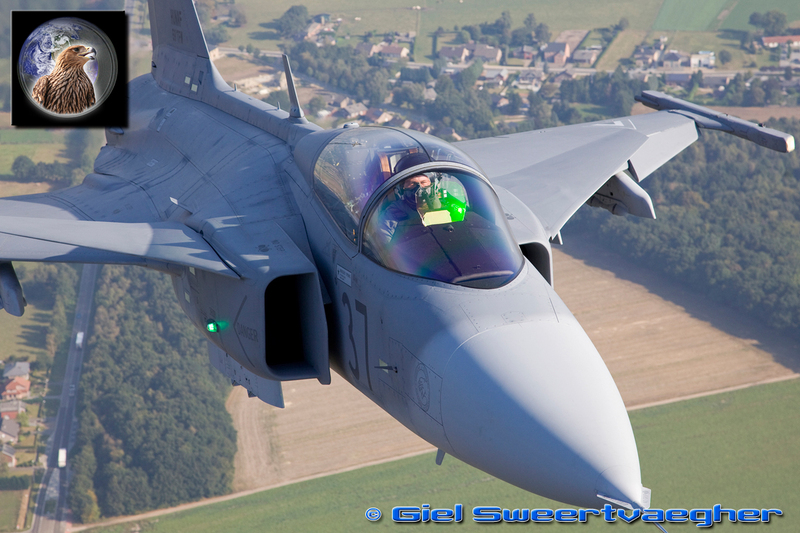 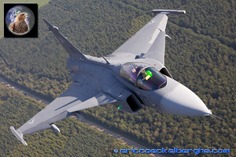 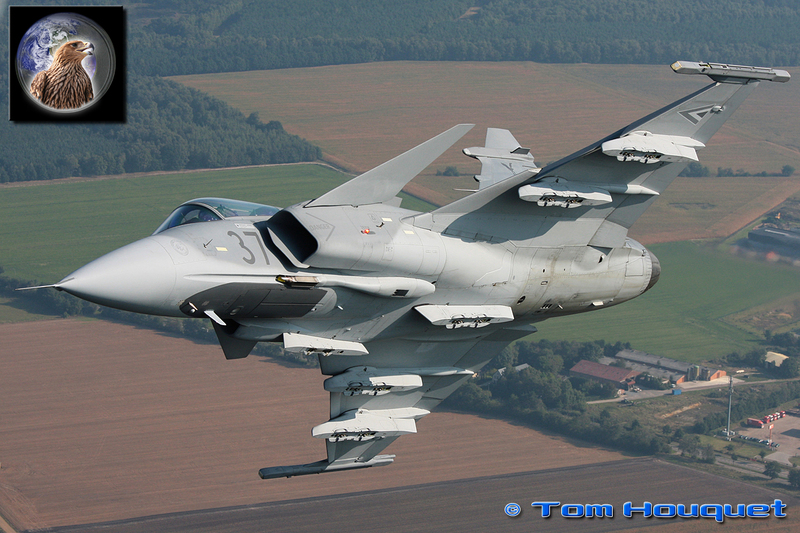 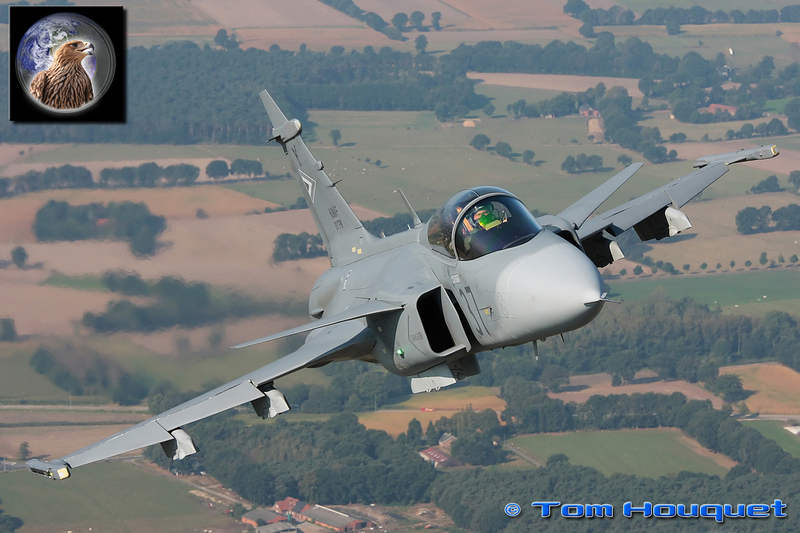 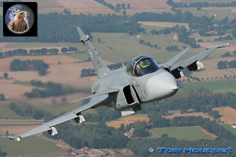 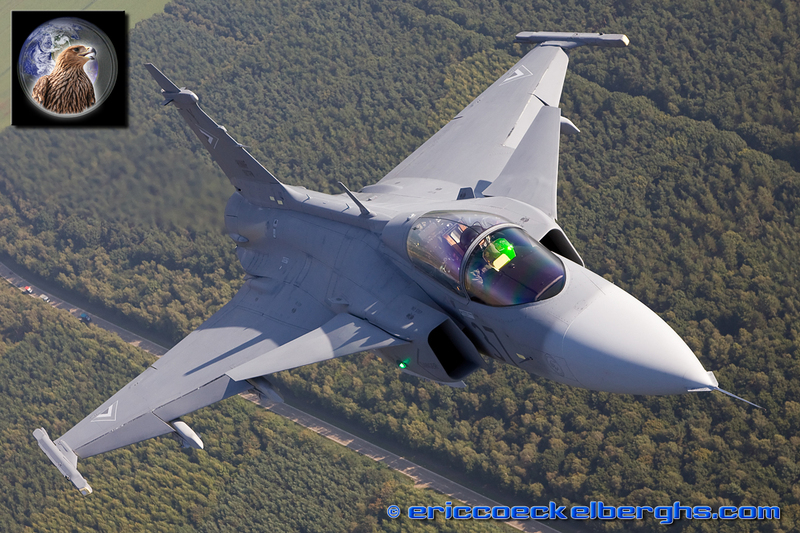 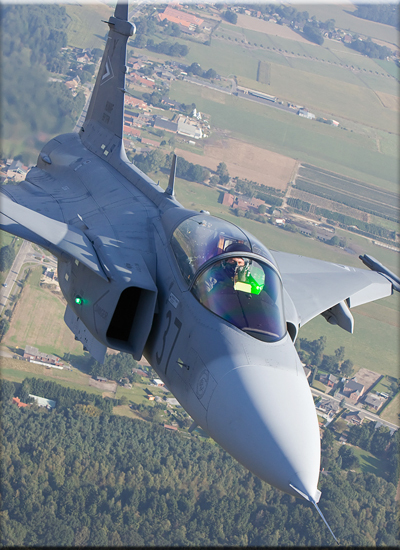 For the first time we had a participation of the Hungarian Air Force, sending this Saab Gripen. 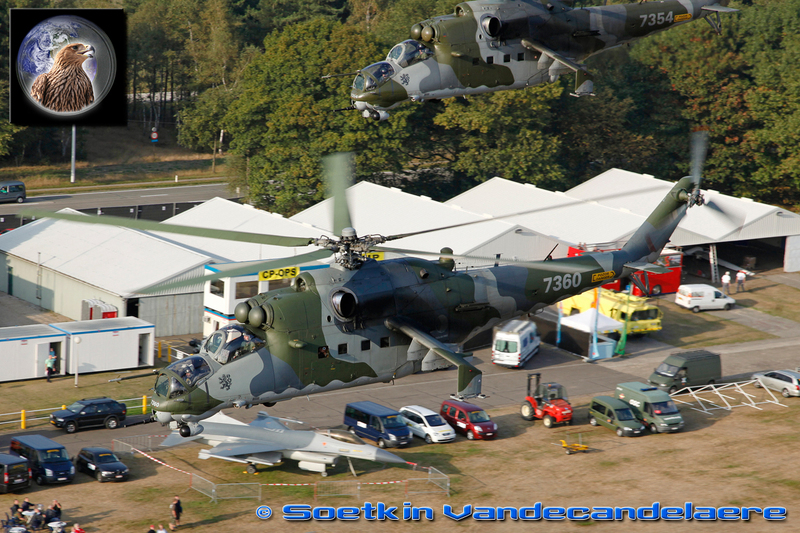 It was our shortest photo join-up so far, after the airshow rehearsal the JAS-39C posed behind the Skyvan for just 2 minutes and 56 seconds...but it was more than enough to get some very cool results. 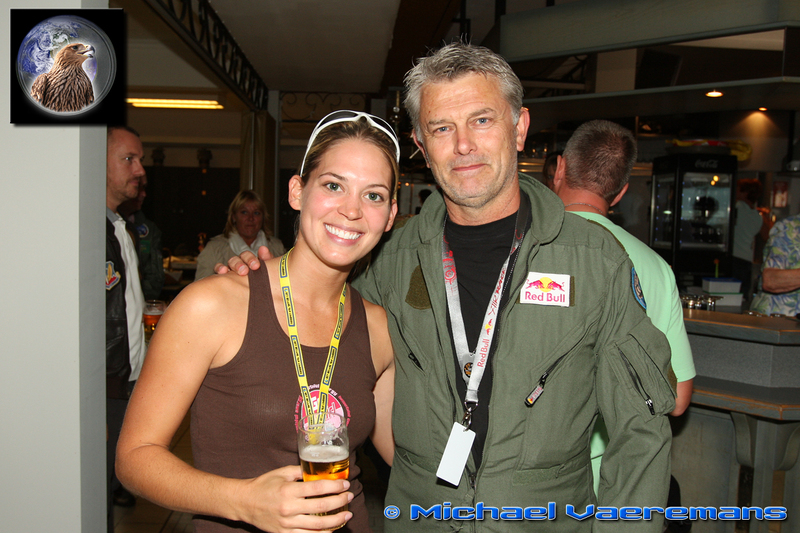 Our PhotoCrew was very spoiled this year.....yes we know we are lucky. Giel ( you know that photographer of 17 years... ) got an exclusive opportunity to capture the unqiue duo of the Dutch F-16 , the famous 'Orange Lion' flown by Ralph 'Sheik' Aarts, and the Red Yak....with Sheiks father in the backseat as the ultimate surprise: yes, aviation can be very beautifull. 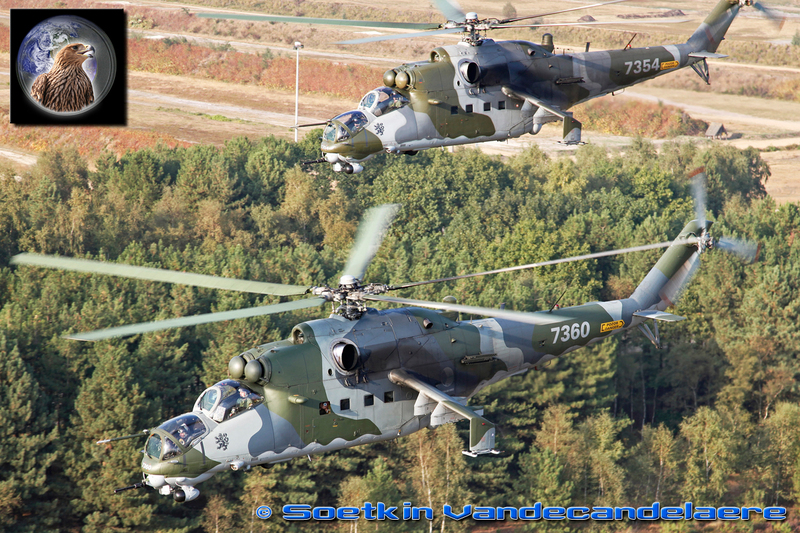 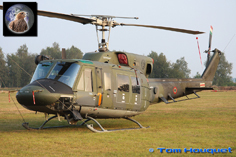 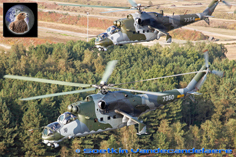 For Soetkin we had two delicious Czech Mil Mi-24 Hinds, and the photoflight was quite a challenge as these helicopters are really fast...almost too fast for the T-6! Unfortunately the weather on showday was about the weirdest we've ever had; no hard burning sun or soaking rain, but a strange kind of mist that only very very slowly dissapeared...making this edition the first one ever in the fog. Some participants had to cancell due to the poor visibility, but many of our guests tried very hard to give the public a good time. Up in the sky the weather was luckily much better and once again we could capture some magic moments. 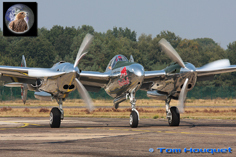 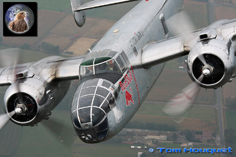 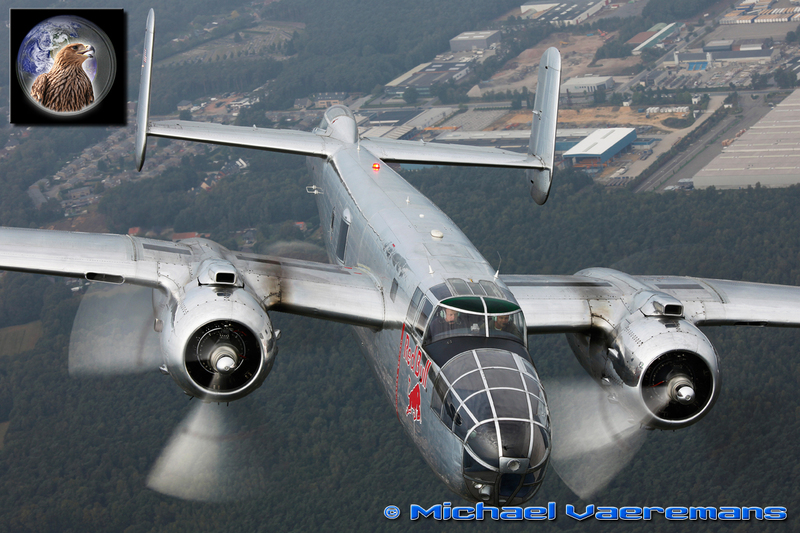 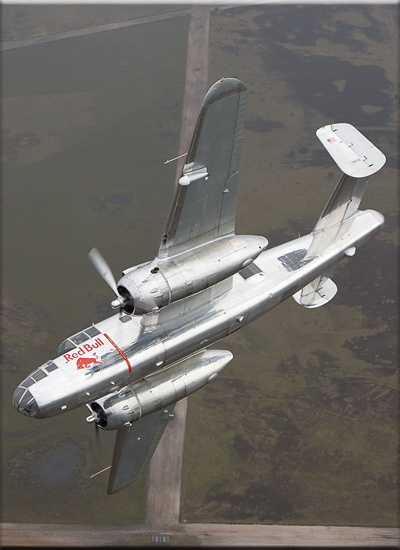 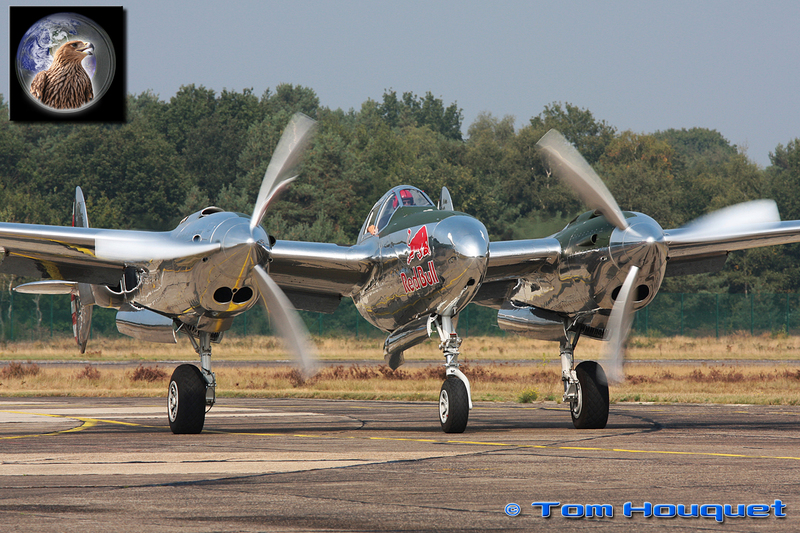 Here we have the polished and shiny B-25 Mitchell of Red Bull, they came to the airshow together with the P-38 Lightning, Bo-105 and Corsair. 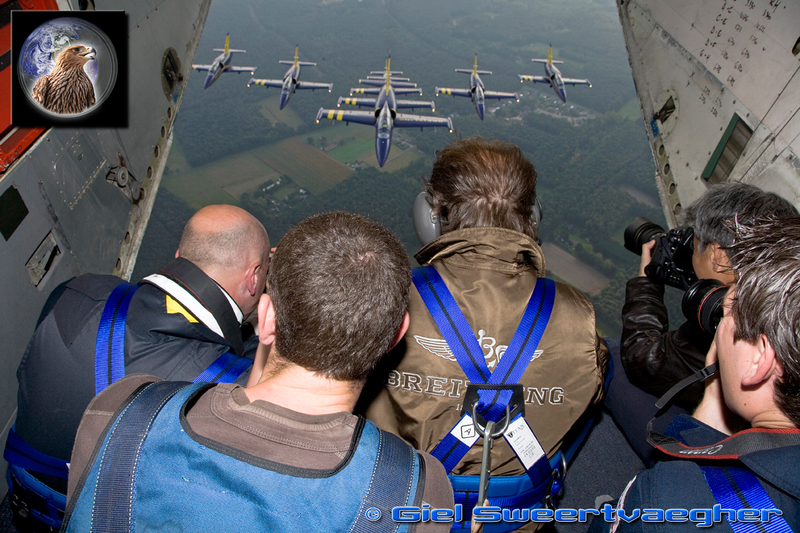 The Breitling Jet Team are very popular guests in Sanicole, and for us it was a premiere: for the first time we had an entire fast jet team posing for us behind the Skyvan...delicieux, merci Jacques! 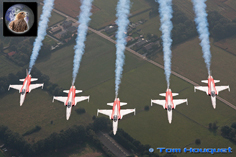 It requires incredible skill and concentration from the pilots to bring the entire team as one close formation behind us, the view was truly memorable. 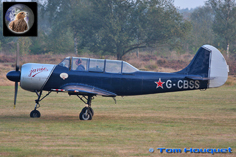 During all our photoflying adventures we were followed by a cameracrew of national television, as we were a part of a docusoap they produced on the TigerMeet. 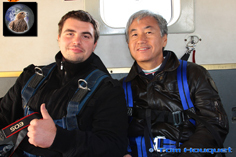 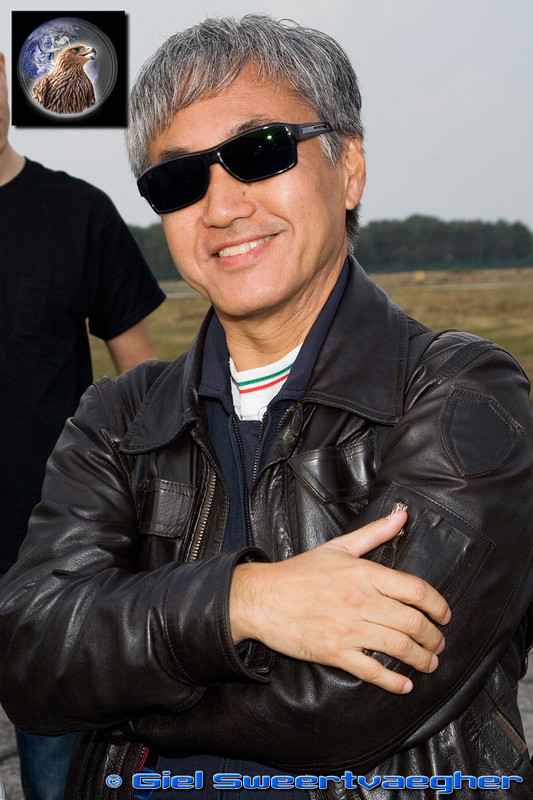 We also had the pleasure of having a véry special guest with us that week....the iconic pioneer of air-to-air photography, Katsu Tokunaga himself! 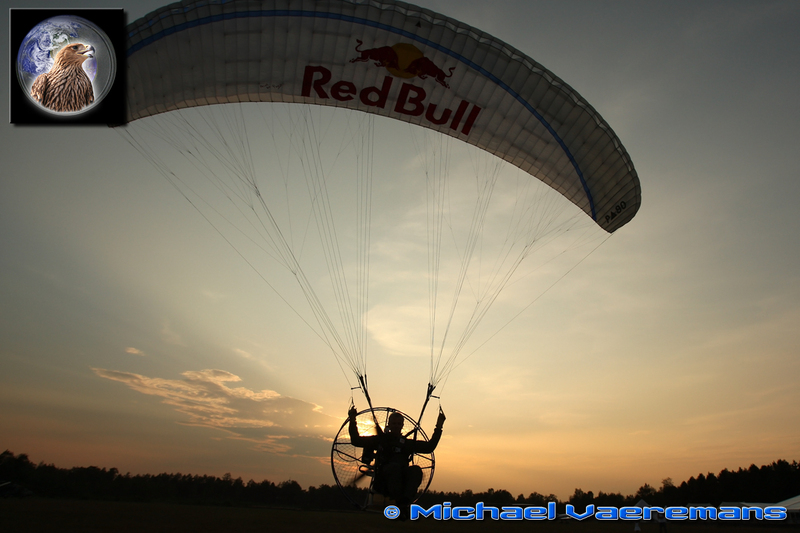 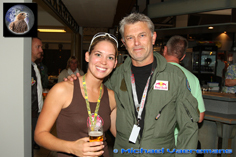 He flew 8 times with us, it sure was an incredible experience seeing the master at work. 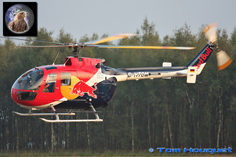 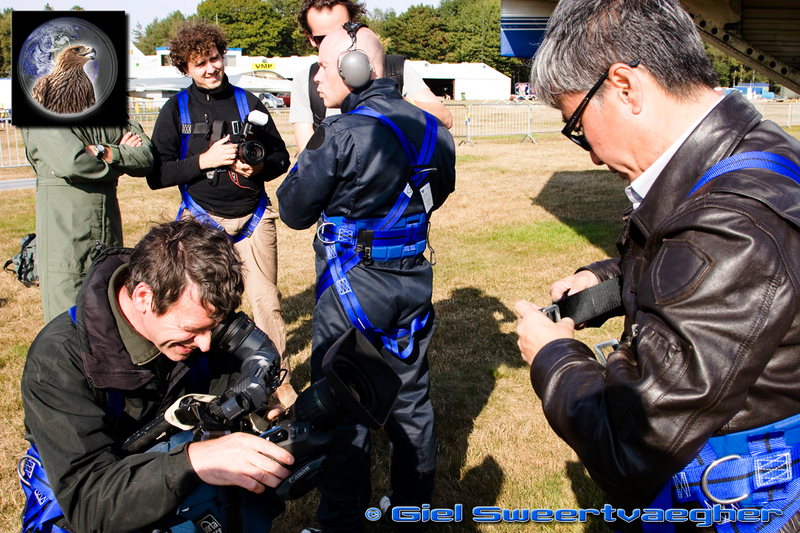 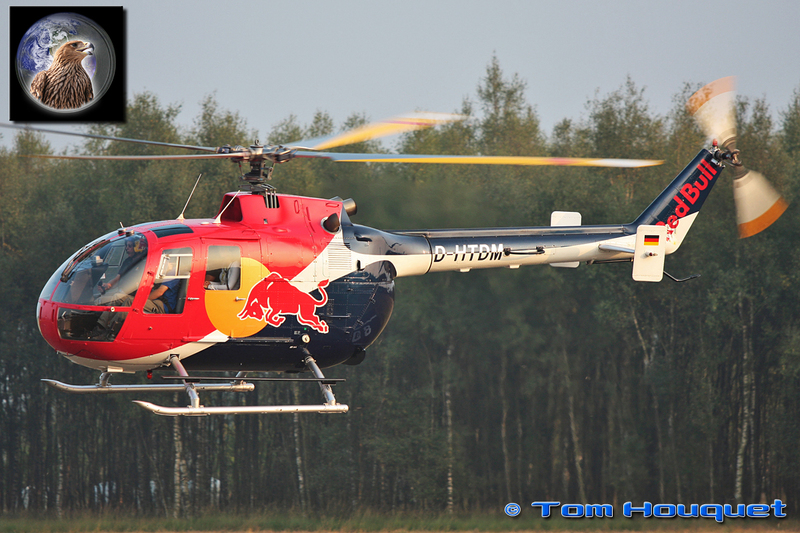 We were also able to take quite a number of guestphotographers with us, giving them the same unique opportunity to photograph aviation from it's most exciting side...in the air! 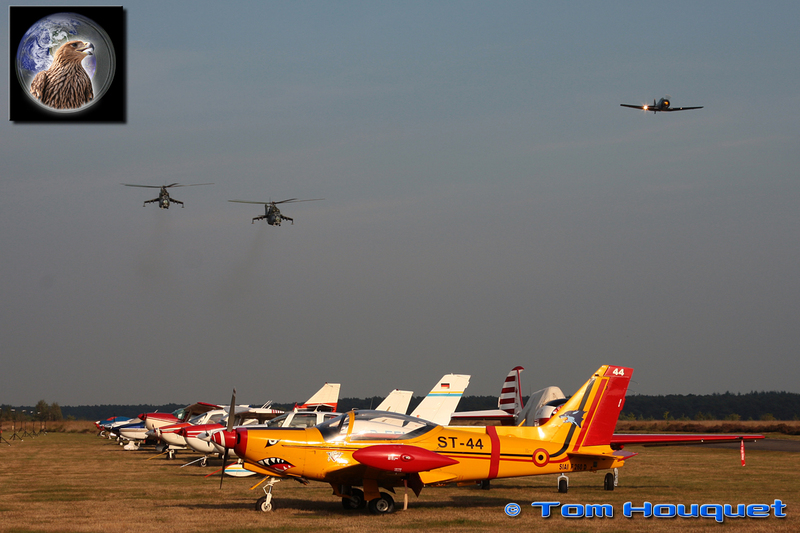 Another incredible airshow was flown for us by 'Spout' in the Dutch classic Hunter, man what a show was that...sometimes everything is just perfect and this was again one of those moments. 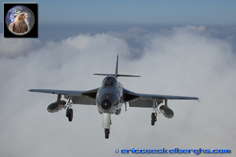 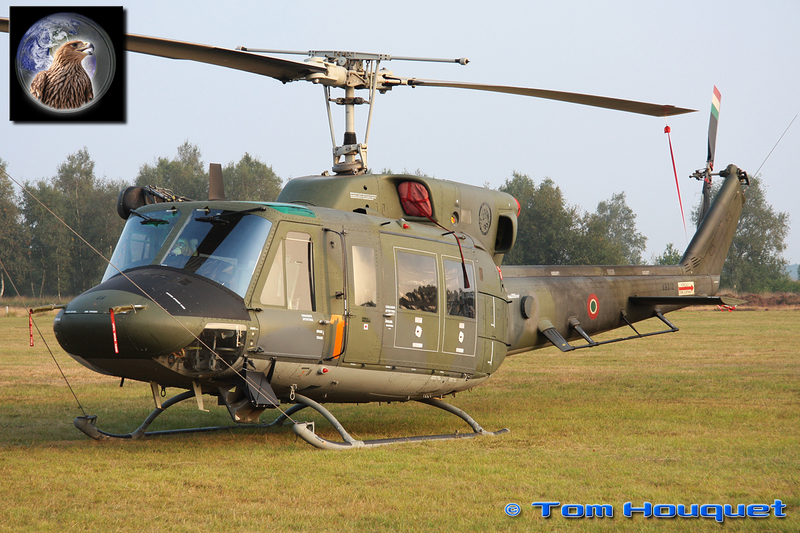 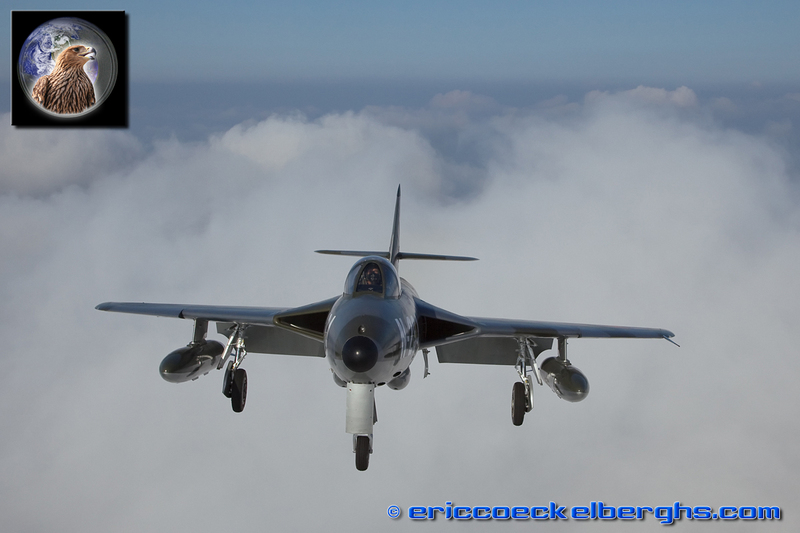 The Hunter is already a very photogenic aircraft, but presented it to us like a real star! 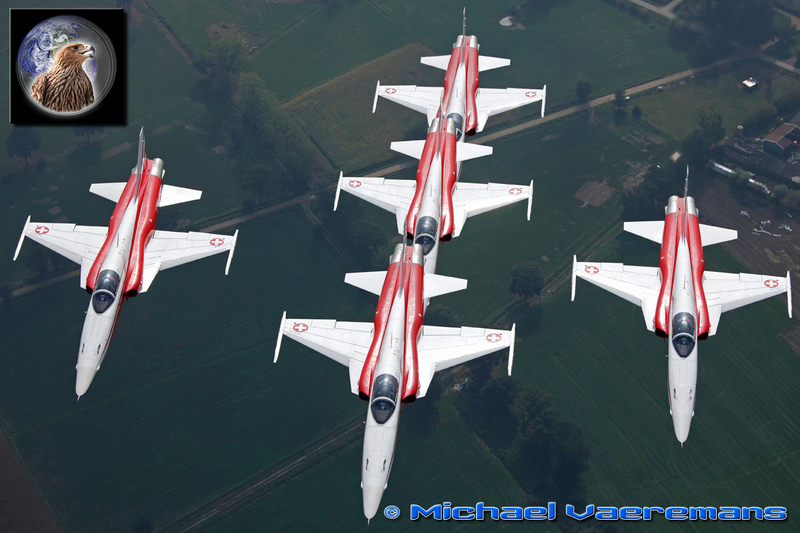 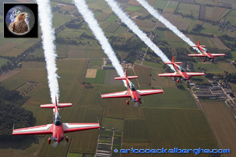 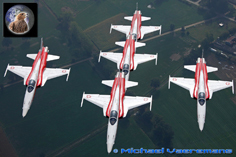 The airshow was concluded by the Patrouille Suisse, an effort started by Sanicole 30 years ago! 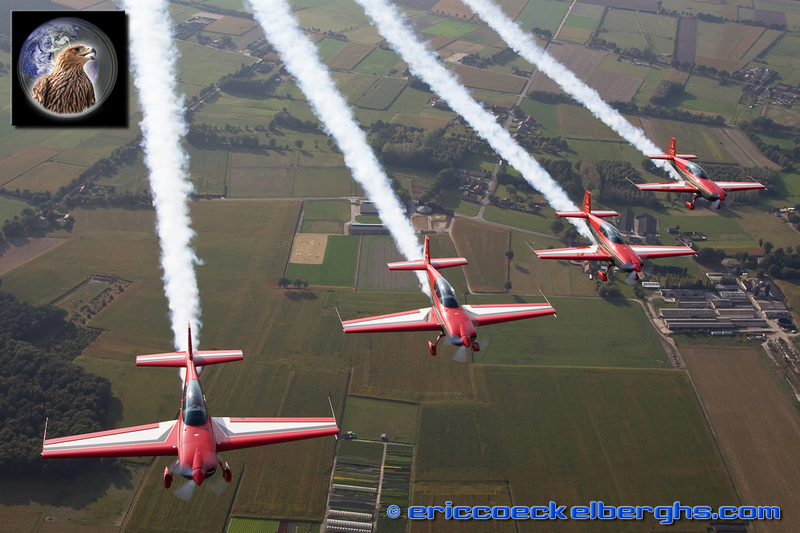 All this time we had to wait and sometimes the dreams do come true as the famous Swiss team finally gave a very appreciated display over our little airfield. 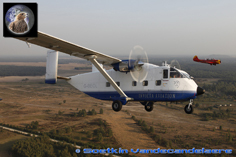 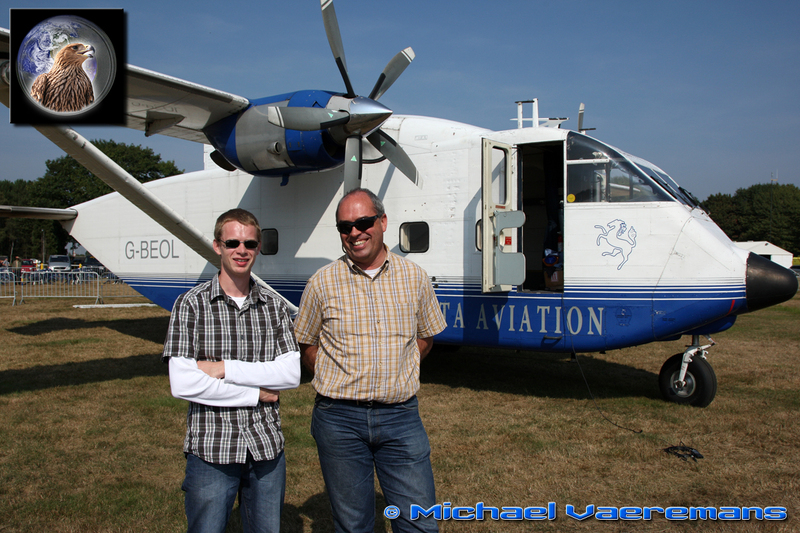 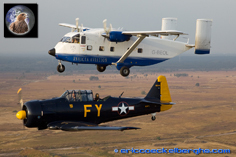 And the two passes under the Skyvan were just another highlight! We end this report with the big thank you part: if we had to find some words for everybody who has contributed to the airshow we would need a lot of extra space...so thank you all 1000 times for all the incredible moments, on the ground and in the air. 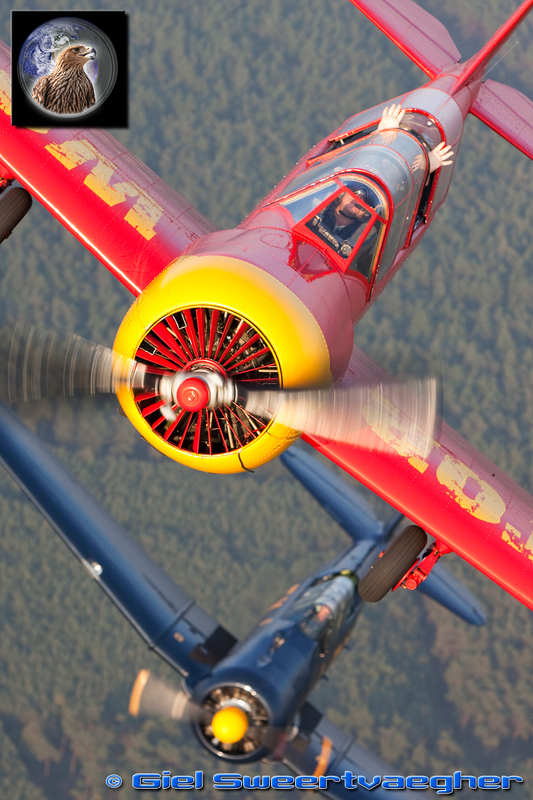 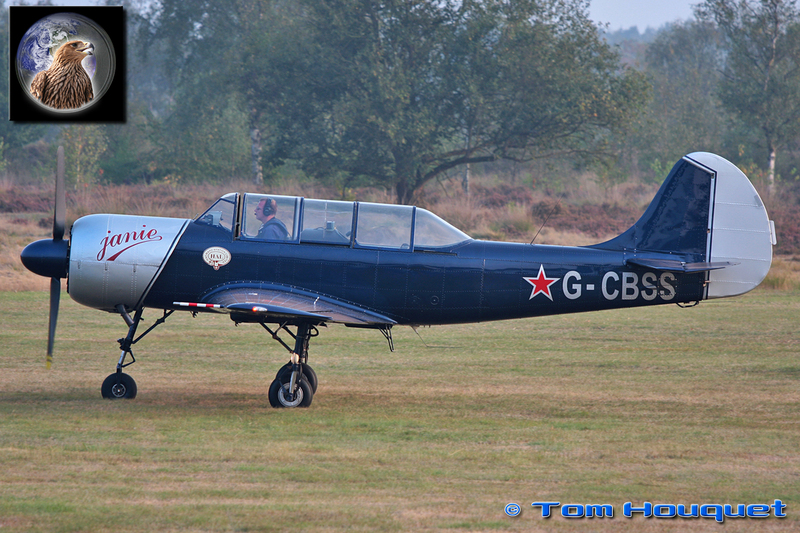 Many thanks to our photopilots Jerome in the Yak-52, Hanno in the T-6 and Tony in the ever popular Skyvan. 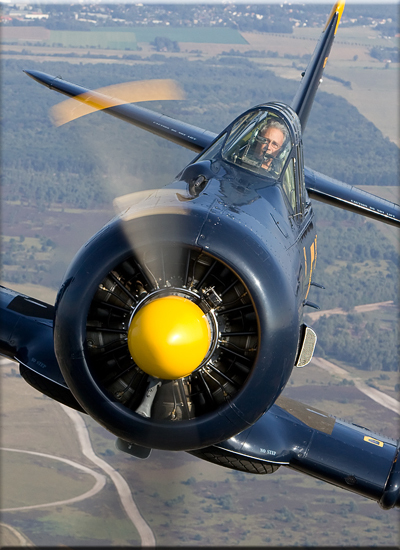 We'll count the days to number 34! 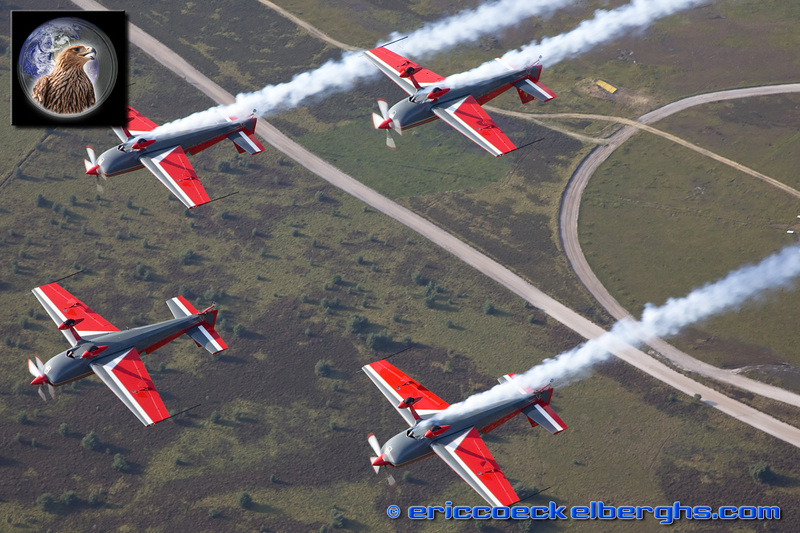 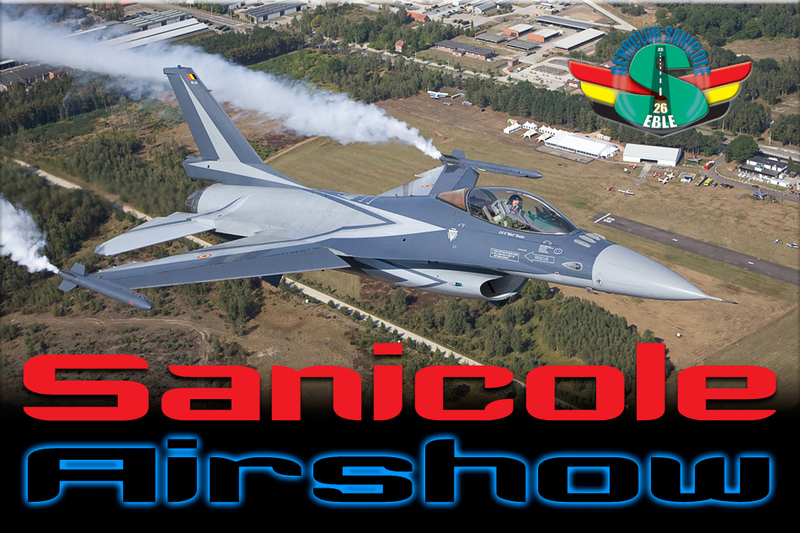 For the first time Sanicole will host an extra sunset airshow on Friday the 17th of September...hmmmz another great challenge for our PhotoCrew.